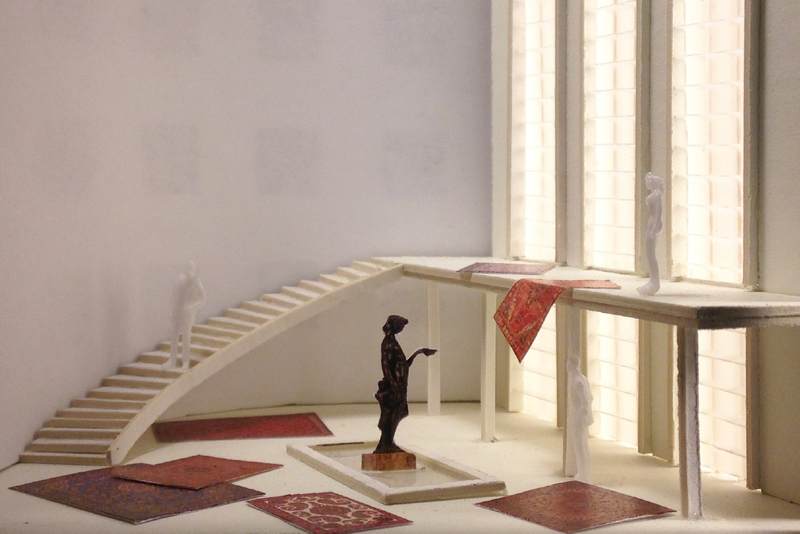 Having studied opera production as a Fulbright fellow in Vienna, Alex McCargar BArch 11 is now designing sets like this one for Die sieben Todsünden at Yale School of Drama. 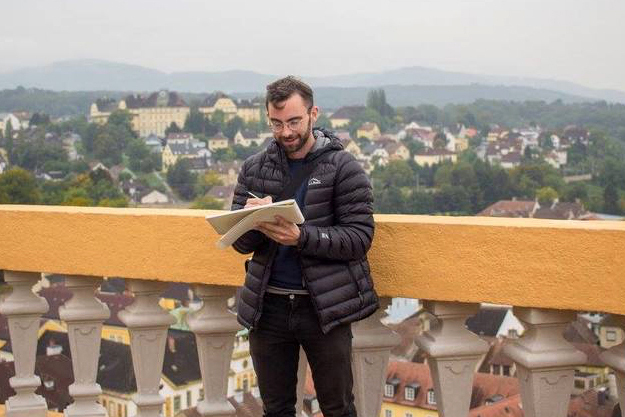 Former Fulbright fellow Alex McCargar BArch 11 first fell in love with the opera while interning for an architecture firm in Zurich, Switzerland after graduation. At a performance of Die Stadt der Blinden at the Opernhaus Zürich, he realized that the collaborative, multidisciplinary art form synthesizes what he’d previously seen as his disparate interests in art, history, classical music and architecture. At RISD McCargar learned to use drawing as a way of learning. As part of his Fulbright fellowship, McCargar worked with mentors Rudi Risatti and Bernhard Kleber and focused first on researching set design models and drawings at the Theatermuseum Wien and then on working with set design students at the University of Applied Arts, Vienna. Much of his research involved reconstructing stage sets through scaled drawing and model-making, utilizing his advanced architectural drafting skills and the hands-on approach to materials he cultivated at RISD. “At RISD I learned to use drawing as a way of learning,” McCargar notes, “especially in Architecture.” While he also learned to use digital tools, he says that the physical act of drawing allows him to “see all of the details at once,” much more so than taking a photo or jotting down notes. 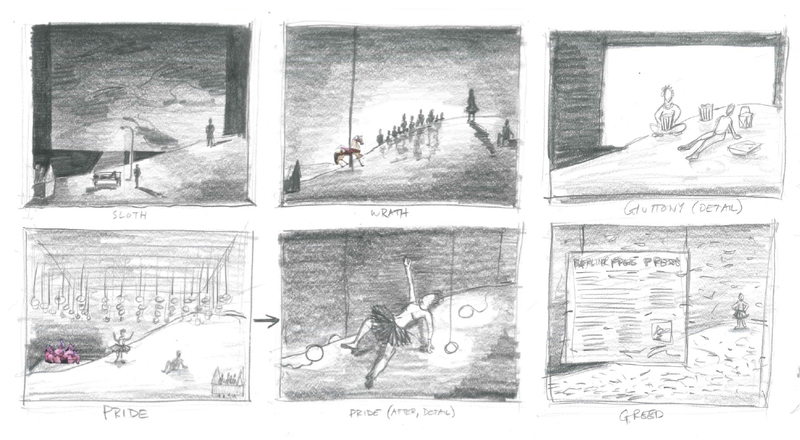 The physical act of drawing allows McCargar to consider all the details at once when designing for the stage. And while he’s interested in pushing the boundaries of set design, McCargar says that it’s important to first develop a deep understanding of the discipline’s history. He also notes that although theater productions frequently travel to multiple countries and showcase the talents of an international cast and crew, stage sets designed for US audiences tend to be more traditional than their European counterparts. This severe, white set for Salomé is inspired by Fascist architecture. Now that they have won Fulbrights for the 2016–17 academic year, Miri Kim 16 PT and Midge Wattles 12 PH plan to take full advantage of exciting cross-cultural exchanges.